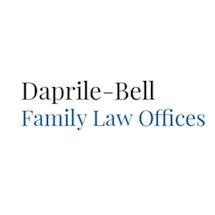 Daprile-Bell Family Law Offices is a boutique, specialized law firm that provides dedicated family law legal services to lead people and families through difficult situations. Representing clients throughout Santa Clara County, Santa Cruz and San Mateo Counties, our legal team passionately assists with a range of complex matters, including divorce, child custody, child support, spousal support, paternity, domestic violence and pre-marital and post marital agreements. Since founding Daprile Bell Family Law Offices over two decades ago, we have committed ourselves to helping people put the pieces of their lives back together and move forward. Our attorneys and paralegals work together to provide the level of service our clients need and deserve. We assist our clients by providing prompt, knowledgeable cost effective service. . We regularly attend panels and seminars, working to remain on the cutting edge of developments in our practice area to best serve our clients. We are respected by the Judges in our community and volunteer in their court rooms on a regular basis as "Judge Pro Tems" to assist the judges in settling their cases. We know that every legal problem is different and we take the time to discuss each client's specific concerns, needs and legal objectives. We offer customized advice through each phase of the legal process. We keep the best interests of our clients and their children at the forefront of our minds as we work with them to achieve positive results. Our team at Daprile-Bell Family Law Offices has more than 60 years of combined legal experience. We explain to our clients how the state's laws apply to their cases and we craft strategies customized to the specific circumstances of our clients. We believe the best defense is a good offense and we serve to empower our clients to make informed decisions about their legal situations as well as their futures. For the convenience of those we represent, we accept credit cards.